Across the country, it is illegal to drive without insurance coverage. The state of Nevada is no exception to this rule. Any offense of driving without car insurance is considered a misdemeanor under state law. The financial penalty that an offender may face depends directly on the number of days his or her car insurance lapsed. The fines may range from $250.00 to $1,000.00. Moreover, license reinstatement costs can range from $250.00 to $750.00. Nevada law also has three categories of offenses for those convicted of driving uninsured, each with varying consequences. It is true that trying to purchase car insurance in Nevada is easier than facing monetary penalties and a tainted driving record for driving around without coverage. Presently, Nevada requires all drivers to purchase liability coverage that has a minimum of limit for bodily injury of $15,000.00 per person, with a maximum total of $30,000.00 per accident, and up to $10,000.00 in coverage for damage to another’s property. This coverage is commonly referred to as 15/30/10. Nevada is one of the states with the lowest minimum car insurance liability coverage requirements. That being said, effective July 1, 2018, the state will increase the mandated coverage to 25/50/20. In other words, bodily injury coverage of $25,000.00 per person, $50,000.00 per accident, and up to $20,000.00 for damage to another’s property. A driver can be caught driving without auto liability insurance in Nevada as a result of the state’s Department of Motor Vehicle’s (DMV) regular system checks and/or on the road when stopped by a state trooper or law enforcement officer. The DMV’s regular system checks are known as the Liability Insurance Validation Electronically (LIVE) system. Once a vehicle is identified as possibly being uninsured, the owner will receive a notice in the mail asking for clarification of his or her policy status. A written response is required within 15 days of the notice. Beyond this, any local or state law enforcement officer stopping a driver for a traffic violation has the authority to request the driver’s proof of auto insurance and verify its status with the DMV’s LIVE system. A valid insurance card or the declaration of the active policy are considered proof of insurance. In addition to verifying the status of every registered motor vehicle throughout Nevada’s state-licensed insurers, LIVE can also determine how many days, if any, car insurance has lapsed. In short, do not drive in Nevada without car insurance unless you are willing to be ticketed, get points on your license, and be stuck with a monetary fine. 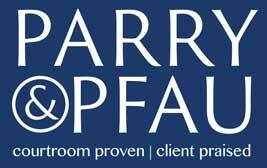 If you have questions about Nevada’s traffic laws, insurance requirements, or any other legal issue that needs to be addressed, contact the personal injury attorneys at Parry & Pfau. These skilled lawyers have represented the interests of injured clients across Nevada and can help explain your rights to you. Click here today to schedule your initial consultation.